A nasty piece of malware known as LizaMoon has hijacked links on millions of websites in the past weeks, including some normally safe iTunes and Google links. Fortunately, LizaMoon is easy to avoid if you know what to look for. There was plenty more to suggest that the dialog was bogus. For example, the third sentence is in fractured English — Microsoft dialogs aren’t like that. And the kicker: I keep my system very clean, so the odds that it would suddenly contain “a variety of suspicious programs” are virtually nil. A new webpage opened, showed a flurry of fake “scanning” activity (most likely, just an animated .gif), and then reported a huge number of discovered viruses and security problems. After a minute of fake scanning activity, a new dialog opened — offering to “Remove all” the threats (see Figure 2). Figure 2. Clicking “Remove all” on this fake security dialog starts the malware download. Find a way to close the dialog, as discussed in the text. The new dialog set off more of my internal alarm bells. Windows normally identifies the software or subsystem involved in security alerts — such as the Action Center, the Security Center, Security Essentials, or whatnot. A dialog simply labeled “Windows Security Alert” is suspiciously generic. And what’s this about “Windows Defender”? That’s Microsoft’s standalone anti-malware tool that ships with Vista and Win7 and is available as a free download (page) for XP. The forerunner of the more complete Microsoft Security Essentials, it’s deactivated when you install MSE. Since I have MSE active on my system, I shouldn’t be hearing from Windows Defender. At that point, you’d normally try to dismiss the warning by clicking on the red X. To see what would happen next, I clicked “Remove all,” knowing I was inviting trouble. A real and quite legitimate Windows file-download security warning opened, as shown in Figure 3. But while the previous dialog discussed “Windows Defender,” this dialog box asked permission to download an installer for “Internet Defender.” What’s more, the dialog clearly showed that the file was from a site called update65.saceck.co.cc — not Microsoft! 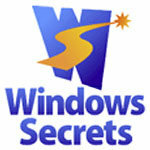 Windows Secrets fred langa, Lizamoon, malware, rogue av, security, spyware, virus, windows secrets. permalink. Every PC that I’ve repaired has had this problem..Hate to say it but it’s been a money maker to where now I just almost do it for free..I get alot of people that return with the same problem again and again..mostly the same ones!! I get the one’s that have the “Your Antivirus has reported….”..Click here logo..and off people go..then the dreaded carry the PC to the PC guy and then ching,ching! !Most people would rather wipe the hard drive clean and reinstall than try to get rid of this problem..only to let it happen again and again..I try to help but people are people.. I thought Microsoft Sec Essentials was the best thing to protect your computer. I would like more opinions on that before I uninstall and download something else. I used to have McAfee, but my grandaughter’s college prof told her to uninstall that and use Microsoft instead. Would appreciate more info. PS – I also encountered something similar to Lizamoon…had a hard time x’ing out of it..but finally succeeded. I got the Pitstop newsletter with your story about Win7 security. I by-passed your story and went to something else. Suddenly I was hit by Win 7 security alert. I went through its process and like You Isaw the $50 price. Is this what just happened to me? The other day, while reading an e-mail I got a quick flash that said “Microsoft…..” and went off the screen as fast as it came on. My screen flickered and then the computer shut down. I started it back up and saw that over 9000 emails were loading into my inbox. After hours of loading very slowly, it stopped and then restarted all over again reloading the emails from scratch (0,1,2,3 etc). After the third time it finally completed and I am now going through them and deleting or putting in folders each one at a time. This will take weeks. Why did this happen? What did I do? Will it happen again? WHAT SHOULD I DO NOW? No, you didn’t get one of these types of malware attacks, but what you’ve described seems like some other infection like a mass emailer or similar. You need help from the security experts in the HijackThis portion of the PC Pitstop forums, or any other qualified forum like MalwareBytes Antimalware, or Besttechie.net just to name a couple. All of these have qualified HJT analyzers who can help you identify & clean whatever got into your system. Follow all their instructions carefully & completely, they are very thorough and it may take some time but it’s worth it. Please be careful clicking email links you aren’t sure of or don’t know who it came from. This article would be infinitly more valuable if it described a method of getting rid of this virus when your computer does become infected. I have gotten this type of thing several times. Guess I must surf ‘on the edge’ a lot. Malwarebytes’ Anti-Malware always removes them completely. It is a free program. (No, I do not work for them!) You simply reboot to Safe Mode with Networking, download it if you don’t have it, update to their latest malware database and run it. It cleans my system every time. If you are feeling flush, for very little money, you can get their real time module that keeps you from getting malware in the future. If you know your pc is working fine and accurate there is no need to obey these pop ups. As far as I’m concerned, anyone who trusts Windows Security Essentials and Windows 7 firewall gets what they deserve. How about throwing away your shoddy microsoft software and getting some decent programs. Or is that too much like hard work, in that, you actually have to think and know what you are talking about. Win Firewall tho can be configured decently by those who have Vista/7 Ultimate edition to access the firewall config, and know how to set proper rules, but it’s default config sux. Have you seen how well Comodo is doing with their CIS Security pack? They’re not just top f/w with an ok AV option anymore, CIS as a complete pack is now topping the respected labs testing & getting some of the highest ranks ever. I use Comodo f/w & Nod32 AV but may have to think about going all Comodo after the latest results (Matousec, VB..etc). 1. Do you keep the downloaded software or use it then remove it to save computer space? 2. Did you run the above in safe mode?